Adore Naturals is an online retailer selling natural handmade products from the UK. It is a lovely site offering products in the categories of bath & body, skincare, mum & baby, men, home fragrance, gifts and remedy. 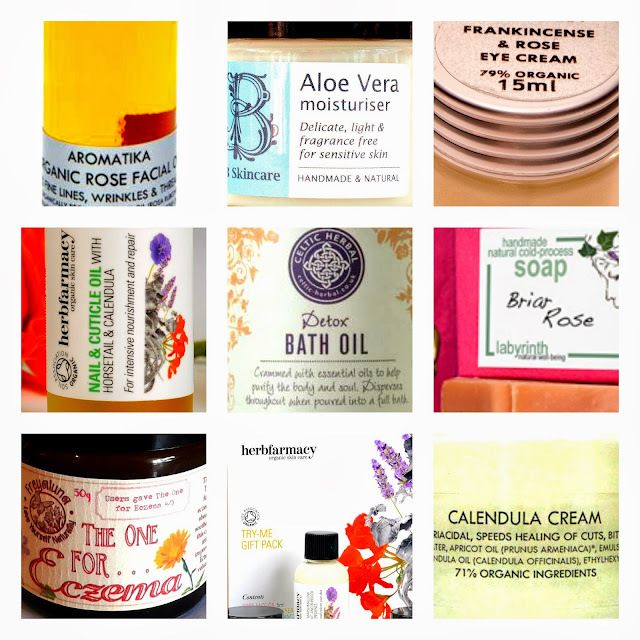 They currently stock the brands Aromatika, B Skincare, Celtic Herbal Company, Freyaluna, Herbfarmacy, Honeybell Soap, Labyrinth, Quintessentially English, The Aromatherapy Company and Wild Olive. Some of the brands you should recognise from my blog. If you go back a couple of blog posts you will find a review for Aloe moisturiser from B Skincare. There are lots of products on the site that appeal to me, it would be hard to mention everything. I know many of my readers enjoy bath bombs and I recommend browsing this section of the site. The Flower Fizzie Gift Box by Quintessentially English looks beautiful and each bath bomb is topped with a real flower. 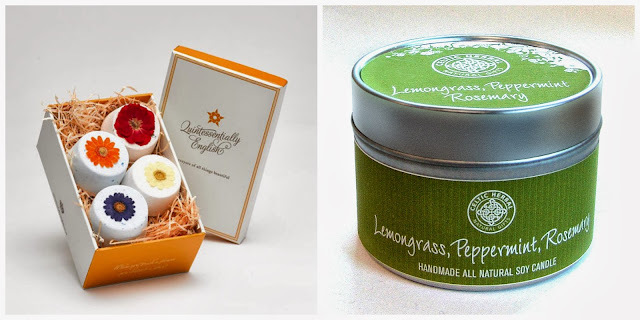 Candles always seem to be a big hit with bloggers and the selection of soy candles from Celtic Herbal Company look appealing. I think the website has a good layout and is easy to negotiate. You can search under the categories I mention earlier but you can also shop by brand or skin type. I noticed you can select eczema/sensitive skin so that is always handy when wanting a quick browsing option. The site also offers full ingredient lists for products. Standard delivery is reasonable at £2.95 or Free for orders over £20 (Next Day and International Delivery is also offered). Adore Naturals will be exhibiting at the Allergy & Free From Show North on 26 & 27 October 2013 in Liverpool. If you are visiting the show, pop by the stand as they will be running a prize draw to win a skincare hamper worth £50. I think it is great to see a site supporting smaller brands and it's nice to be able to spread the word. Adore Naturals are offering my readers a 15% discount on orders. The code is 'SUGARPUFFISH' and should be added at the checkout, it is valid until 31st October 2013. Let me know if you see anything you like and decide to place an order, I always like feedback from readers. Really great to support smaller brands! Looks great, off to have a browse now!